Federal law requires that you complete a counseling session prior to filing for bankruptcy. The law specifies that you must complete the course within 180 days prior to filing. In reality, most debtors complete this counseling as part of their pre-filing process. Most of the time, filers complete the course in their attorney's office on the spot so their lawyer can file the bankruptcy petition the same day. The pre-bankruptcy debtor education course is the same no matter if you're filing Chapter 7 or Chapter 13. Here's what to expect in this counseling course. 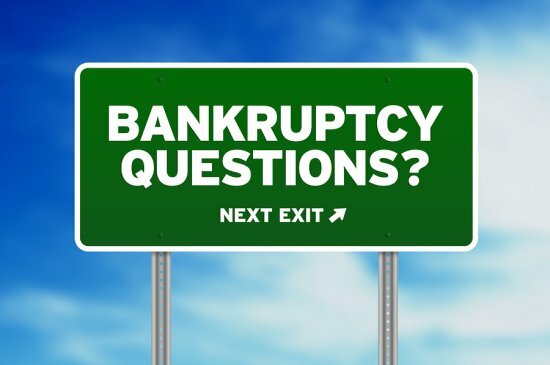 The intent of pre-bankruptcy counseling is to make sure you understand what filing bankruptcy means and the ramifications of filing. The counselor that works with you online, in-person or on the phone also asks about your financial circumstances to determine if bankruptcy is the best option for you. Counseling providers must be approved by the government and are non-profits. The session lasts about an hour, and costs range from $10-$60 depending on the provider. Your attorney may include this fee in with your overall bankruptcy costs. And, in some cases, the counseling provider may waive your fee. If your income is at or below 150% of the state poverty guidelines and your budget analysis indicates you cannot afford the fee, it may be waived upon request. Click here to see a list of approved North Carolina credit counseling providers. In most cases, you won't have to go out and find your own counselor. Your bankruptcy attorney will have two to three providers they routinely work with and will put you in contact with them. The counseling course should be the same no matter the provider, so this shouldn't matter too much. The only requirement is that it must be completed prior to your attorney filing your petition. Once you complete the course, the counseling provider will issue you a certificate that your attorney will include as part of your petition. For online courses, the certificate should be delivered electronically. If you choose a phone counseling course, there may be an additional charge to mail the certificate to you. Most people complete these sessions either online or over the phone because that's the most convenient delivery method for most consumers. Online courses are typically cheaper than a phone program. The nice thing about an online course is that you can take it at your own pace and take as long as you need to read and complete each section. And, if you're a fast reader, you can zip right through it. First you'll answer questions about your debt, income, and assets. Then you'll be asked about your spending habits. The idea is to target what's causing your money troubles and give you information and advice on how to avoid these issues in the future. The course will help you set up a budget and will explain alternatives to bankruptcy to you. The session is very straightforward and easy to understand. There is no test at the end and there is no way to “fail” the course. If you take an online course, once you've completed all the steps, you will chat online or over the phone with a bankruptcy counselor. They will review your information and spend a few minutes talking with you to ensure that you understand what filing bankruptcy means. There's no judgment or criticism of your situation – just information to help you. The pre-filing bankruptcy course is nothing to worry about and exists to help you. To find out more about the debt relief that bankruptcy offers, call 1-888-234-4181 to schedule a free consultation with one of the North Carolina bankruptcy experts at the law offices of John T Orcutt. We have offices in Raleigh, Greensboro, Durham, Fayetteville, Garner, and Wilson. Be sure to ask about zero down bankruptcy plans.